Do you know that diet pills can be life threatening? Obesity has grown into a worldwide concern. Level of obesity is increasing in several countries owing to lifestyle changes, lack of exercise and sedentary habits, increase in consumption of fast food and other non healthy eating habits. Not only is obesity a precursor to many serious ailments and disorders such as heart attacks and diabetes, it can also cause severe psychological effects on the sufferers including low esteem in the young and lead to eating disorders such as anorexia and bulimia. Not only has that it severally brought down the quality of your life by several amounts as it leads to low motivation, depression and low productivity. Having said that, obesity needs to be handled by scientific methods, through exercise and dieting. And it is hard work and it requires will power. But some, don’t want to do all the hard work. They want to get rid of the bulge by easier methods and one such method is the popular use of “ diet pills”. There has been an excessive coverage of these pills in the media, leading many people to assume that these are easy short cuts to weight loss. But little do many realise that the usage of diet pills, without proper advice can be dangerous. Diet pills are medicines or medications used for combating and regulating weight loss. They can be obtained either via prescriptions from your doctor or you can purchase from the pharmacist. There are different kind of diet pills which are used. One functions as appetite suppressants, which performs a trick on the body by making it believe it is not hungry. They do this by increasing the levels of hormones like serotonin or catecholamine and they can be consumed as pills or supplements. Another kind of diet pills works by acting on the fat absorption process in the bodyand not allowing the fats to be broken down and absorbed into the blood stream. The unabsorbed fat will be eliminated with the faeces. E.g. is Orlistat This has to be taken in conjunction with a diet plan to be effective. Even then taking diet pills without diet or exercise regimen is not exactly useful. Don’t let the so-called glamorous world of diet pills dumb you down! Diet pills have been found to contain the following substances varying amounts of these substances: hormones such as levothyroxine, cortisol and cortisone, appetite suppression agents such as phenetilamines (amphetamine, amphepranone, fenfluramine and fenproporex), benzodiazepines (diazepam, clorazepato and chlordiazepoxide) and diuretics (triamterene and ciclotiazide). All these chemicals will be having side effects and it is inadvisable to use them without proper medication and prescription. For example, adverse effects of overdosage of levothyroxine includes hyperthyroidism, fatigue,weight loss, fever and sweating., hyperactivity, muscle weakness , palpitations and menstrual irregularities, diarrhoea and flushing as well as many others. Appetite suppressants such as amphetamines bring about their own set of side effects. While it may look like they are doing a good job by suppressing your hunger pangs , it may have more negative effects which you are not aware of. Phentermine, which acts on hunger by not allowing the hypothalamus to absorb serotonin and norepinephrine,which makes you feel fuller, for instance can cause your blood pressure to shoot up if you use it way above its required duration. And this can very easily happen when you are on a diet pill plan. How do diet pills affect our bodies? Another drug Sibutramine is only to be used by obese and overweight people with high risk for heart disease and it too can cause high bloodpressure and difficulties in concentration. This drug was subsequently removed due to is high risk of stroke. Many contain use of lipase inhibitors such as Xenical and the excess use of this has been associated with the occurrence of liver injuries. Fenfluramine has also been associated with the risk of heart attacks and stroke and had been withdrawn. Usage of medicines containing many of these drugs is associated with side effects such as insomnia, constiation, restlessness etc. People should be aware of the risk associated with unadvised use of diet pills, without a consultation. Businesses may sell and promote these pills but one’e health lies in one’s own hands. One is that these diet pills, may interfere with other medicines you may be taking, which may lead to serious health issues. The pills may have other unknown side effects on your body and without getting a check up done it is quite risky. 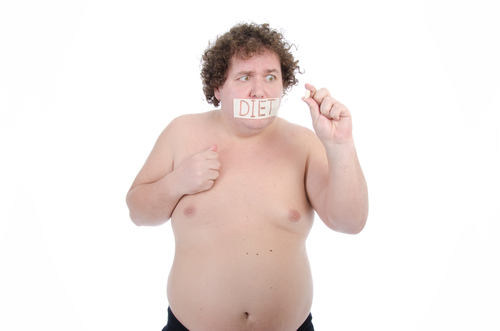 Diet pills should be used only if you have serious obesity issues and exercise/diet regimen is not working by itself. Some components can increase risk of heart attacks, strokes and seizures, which may be fatal to the patient. Example is the presence of substances like ephedra etc. So be careful, follow the hard route to a healthy body.